Key Difference: A locomotive is a self propelled vehicle that is used for pushing or pulling freight or passenger cars on railroad tracks. There are various types of locomotives like steam, electric and diesel locomotives. On the other hand, automotive is used as an adjective that indicates something that is related to or concerned with motor vehicles. The term is most often used in context to cars. A locomotive is a self-propelled vehicle that is used for pushing or pulling freight or passenger cars on railroad tracks. There are various types of locomotives like steam, electric and diesel locomotives. Steam Locomotives - These locomotives are fueled by burning combustible materials like coal. The fire is created and heat is produced to generate steam from water. Electric Locomotives - These types of locomotives get the electricity from a source of power. The power is collected from an electric trolley that runs on an overhead wire or from a third rail lying next to the track. Diesel Locomotives – These are the primary locomotives that are used to power the trains nowadays. They first began as modified railcars. In addition to these, magnev trains can also be considered as locomotives. These are the fastest trains in the world. 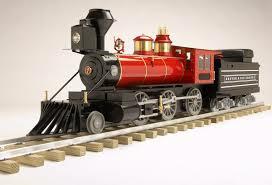 This type of train does not use wheels to move. However, it uses the force of magnets. Automotive is used as an adjective that indicates something that is related to or concerned with motor vehicles (automobiles). An automobile can be expressed as a passenger vehicle that operates on ordinary roads and typically possesses four wheels. It is generally equipped with a gasoline or a diesel internal-combustion engine. Automotive as a term was earlier used in context to a self-propelled helicopter-like machine for one person. However, now the term is generally associated with any type of motor vehicle (specifically cars). 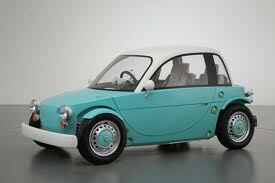 For example - the automotive industry is often looked as the industry that deals with making and selling of cars. This term was proposed by SAE member Elmer Sperry to represent any form of self-powered vehicle. Automotive is used as an adjective that indicates something that is related or concerned with motor vehicles. A locomotive is a self-propelled vehicle that is used for pushing or pulling freight or passenger cars on railroad tracks. A hybrid from auto- "self," from Greek, + Latin motivus (of motion). From modern Latin locomotivus, from Latin loco (ablative of locus 'place') + late Latin motivus 'motive', suggested by medieval Latin in loco moveri 'move by change of position'.